August is coming with its intense heat, and we know that doesn’t stop Austinites from looking for something to do. So, come celebrate National Farmers’ Market Week with us at SFC Farmers’ Markets! Join us to celebrate the market, our vendors and you! National Farmers’ Market week technically runs from August 7th to the 13th, however we will start our festivities on August 6th. This is the perfect time to come to the market for the first time or show your love for everyone’s favorite hardworking vendors. Austin Resource Recovery offers free composting classes to the public throughout the year. Composting is nature's way of recycling. Rather than sending your food scraps and lawn clippings to the landfill, you can compost them to create a nutrient-rich fertilizer for your garden or lawn. Register to attend this free composting class and learn how! Offering weekly free yoga classes at the Farmer's Market. Participants need to bring their own yoga mats. Discover the sheer enjoyment of dance! Experience the beauty and grace of this enchanting art form. We believe that once you try it, you’ll want to keep on dancing. Base Case: Listen to this group of sensational young Jazz musicians taking Austin by the hand and making people swing. Offering free family yoga class. They are a nonprofit dedicated to serving children, families and educators in the Austin area. Eric Burton - Just your friendly neighborhood Guitar-man! The songs of Eric Burton can hardly be described as they leave us with the freedom to fill in the blanks with our own moments, truths, and experiences. He is a songwriter who sings to find himself all the while he records songs about those very experiences that we all recognize and attempt to reconcile each day. With a voice that sounds much older and fingers that move as if they seem to know the way, Eric is able to transport, transform, and touch. 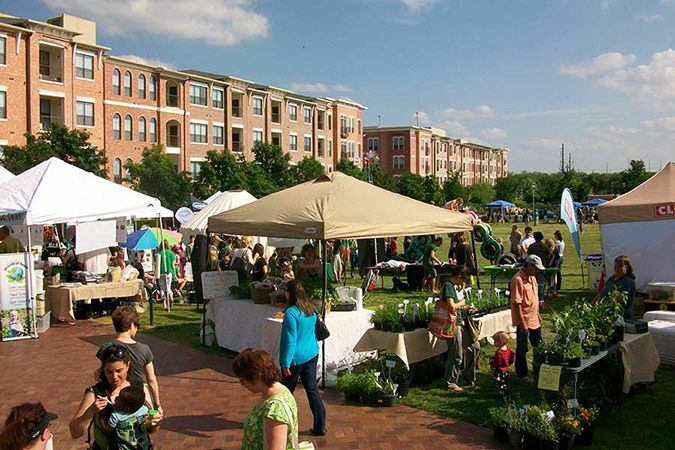 Show your appreciation and vote for your favorite vendor at market. The vendor with the most votes will have their booth fees waived for the day! Instructions for how to vote can be found at the Information Booth. Providing a fitness class focusing on Endurance, Strength and Power. They will educate you on the importance of heartrate monitoring while training. Ghisallo offers a a Bike Fix-A-Thon station performing free bicycle maintenance, a helmet fitting station, basic bike routing and navigation information and will promote participation in the Cycle Academy Century Challenge. Offering weekly free yoga classes at the SFC Farmer's Market. Participants need to bring their own yoga mats. Providing clean, reliable natural gas to Texas, Texas One Gas has been a partner of SFC for years and will be at the market with giveaways and activities for children! They will also be providing information on more sustainable appliances and rebates to make their implementation easier. W Hotel’s restaurant Trace will be competing against one of our newest vendors One Love in a head to head chef competition featuring Sweet Heat made for you with ingredients straight from the market. Stop by and sample both of their delectable bites and cast your vote. The winner gets bragging rights. 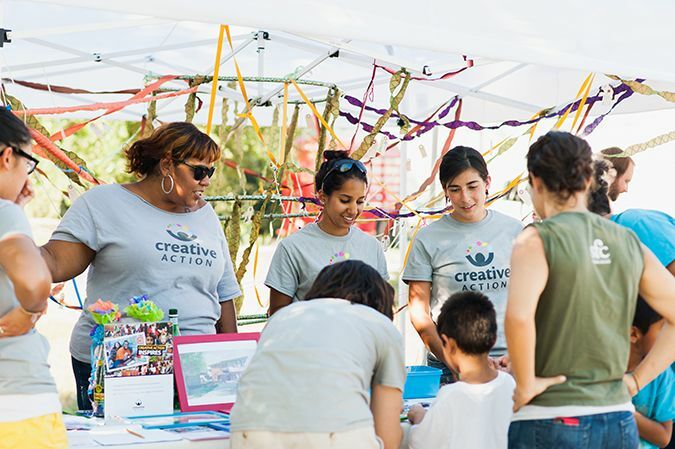 Creative Action will be making Kid related arts and crafts. Through interactive classroom performances, after school arts residencies and community-based programs, Creative Action’s team of professional Teaching Artists inspire youth to be Creative Artists, Courageous allies, Critical Thinkers, and Confident Leaders. Get to know your market and others in your community by participating in our Digital Scavenger hunt at the Sunset Valley Farmer’s Market. All participants that complete the scavenger hunt will get some free SFC merchandise! And the overall winner(s) (as determined by staff post market) will win SFC SWAG! Choctaw Wildfire: In a town brimming with talent, Choctaw Wildfire has quickly become one of Austin's must-see acts. While the band's raw intensity has captured the attention of the home town faithful, the intimacy and intrinsic beauty of Charlie Pierce's songs lie at the core of Choctaw Wildfire's appeal. There is great power in life's simple truths and Choctaw Wildfire proves this with every performance.